I have a lot of interest in Christian worldview. From a strictly financial, personal perspective, that interest has carried a hefty price tag (the cost of my degree in Apologetics and Worldviews). Let this cost alone speak for me: I am an advocate of a Christian worldview. But I also believe that there is a danger associated with a Christian worldview. Let me clarify: it is not the worldview itself that is the danger. Rather, the danger is the possibility that we might become so caught up in embracing, promoting, and arguing for a Christian worldview, that we reduce the Christian life to a way of seeing the world, or a set of values. In fact, the Christian life is more than adopting a Christian worldview. The Christian life must be understood essentially as our relationship with God through Christ, as proclaimed in the gospel. It is . . . possible for Christian worldview advocates to cultivate an immoderate enthusiasm for their biblical systems with their cultural and apologetic potential and to become forgetful of the God who stands behind them. It is a grave mistake to confuse or substitute a proper relationship with the trinitarian God for the crafting and promulgation of a Christian [worldview]. You might recognize a similarity between this danger and the danger inherent in confusing the role of faith and works. The gospel teaches us that, while a right relationship with God is not a result of our good works, it will result in our good works (Ephesians 2:8-10). Similarly, a person’s relationship with God does not consist in his or her holding to a Christian worldview, but that person will develop a Christian worldview as he or she grows in a relationship with God. This is why I believe that Christian worldview discussions must be framed in the context of the gospel, in both spirit and emphasis. If we preach a Christian worldview, if we constantly highlight the philosophical clashes between our secular society and Christianity, and meanwhile fail to preach Christ (who demands faith and repentance) we might find ourselves in a subtle drift toward an “intellectual legalism.” Under this legalistic mindset, we might feel morally satisfied in maintaining and proclaiming Christian values perspectives, while failing to letting Christ be Lord of our hearts (1 Peter 3:15). Worldviews are the products of people’s hearts, not just of their minds, for from the heart flow the springs of life (Proverbs 4:23). Therefore, a change of heart is the foremost need. Of course we must continue to present and argue for a Christian view of life and the world—the only view, I believe, which is intellectually coherent and existentially satisfying. But Christ came to save people’s souls, not just their worldviews. 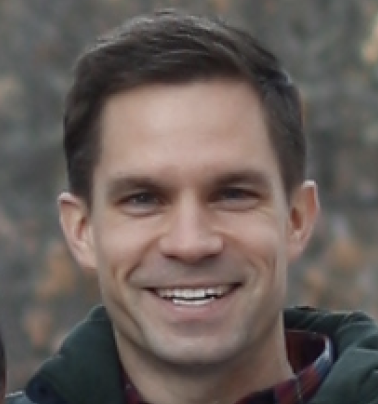 Jonathan serves as senior pastor at Trinity Baptist Church in Concord, NH. He holds a Th.M. in Biblical Spirituality and a Ph.D. in Apologetics and Worldviews from Southern Baptist Theological Seminary. Get e-mail updates from Jonathan.